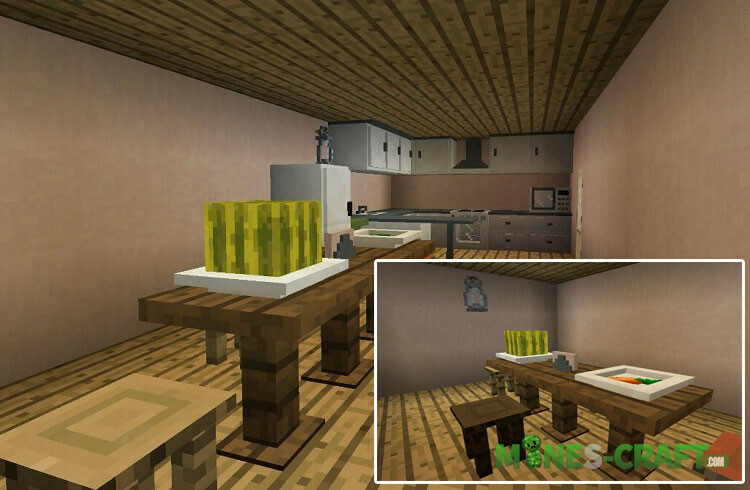 This is the first Inner Core mod that adds furniture to Minecraft PE. You no longer need to improvise and combine several objects and blocks to get some kind of table or lamp. Sle’s Furniture is actively developing, the author promises many electrical appliances in the next update. This is a global update adding new furniture and updating existing ones. You should remove the old version and install a new one before starting Minecraft PE. In this update, you can only use a few items, soon there will be more functionality and animation. Well, for now you can use an electric stove, a lantern, tables and a candlestick. What works from this list? 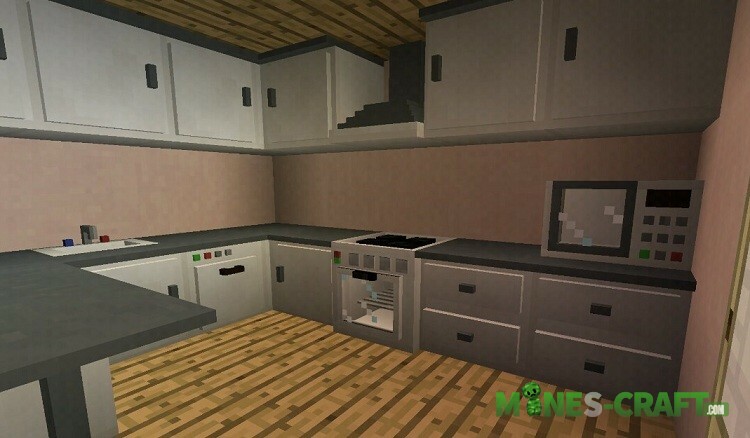 The candlestick and the lantern emit light that is a replacement for bulky luminous blocks, and the electric stove can fry the meat and also convert the found ores into ingots. 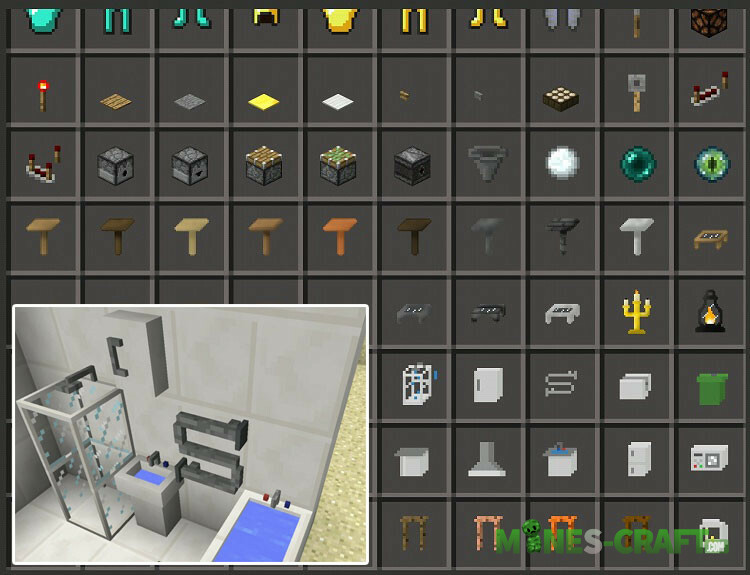 Copy the SlePE Furniture Mod folder to the mod folder (/games/com.mojang/mods/). It only works on Android, unfortunately Inner Core doesn’t support iOS.